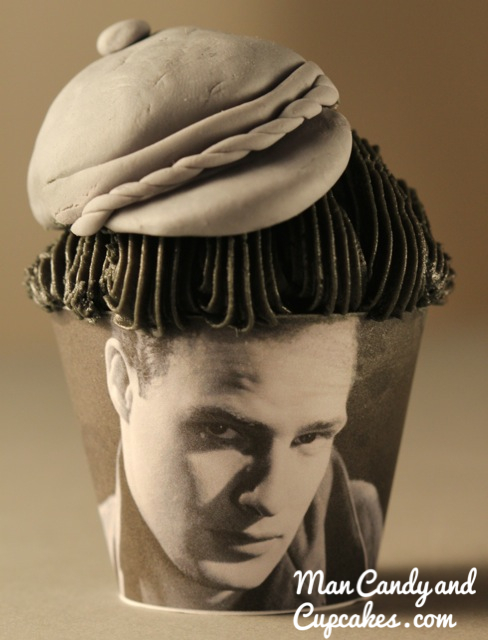 A Marlon Brando Pound Me cupcake isn’t complete without with these Marlon Brando Cupcake Decorations. Dress your bad boy cupcake with a classic Brando-style coif and a tilted fisherman’s cap. No fondant flowers or Hershey’s kisses for this macho Pound Me cupcake. It’s all about dressing with attitude. 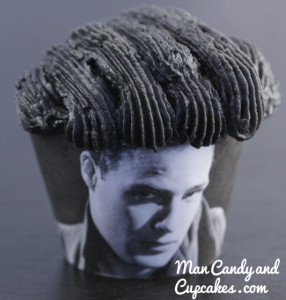 Here is how to give your cupcake the Brando treatment. Place white fondant in a bowl and add 1-2 drops of black food coloring. Mix until blended and fondant has a gray hue. Roll two balls with the fondant one large and one smaller. 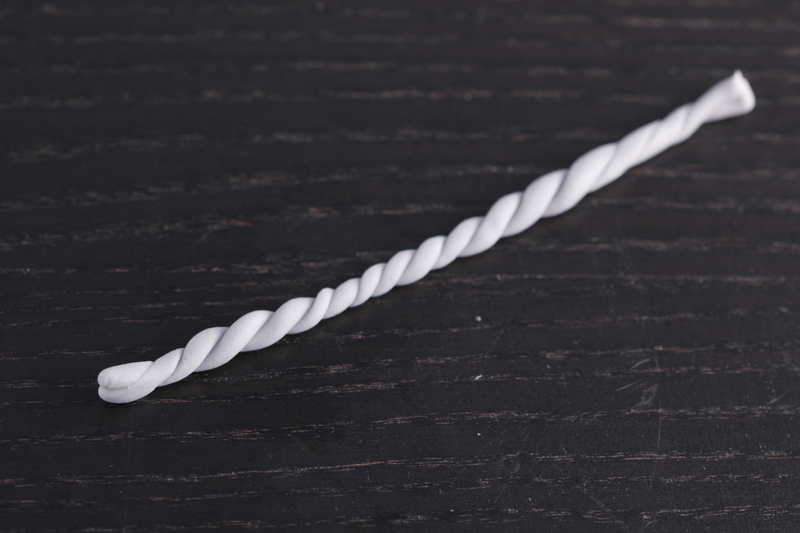 Take the larger ball and roll to shape the base for the hat. 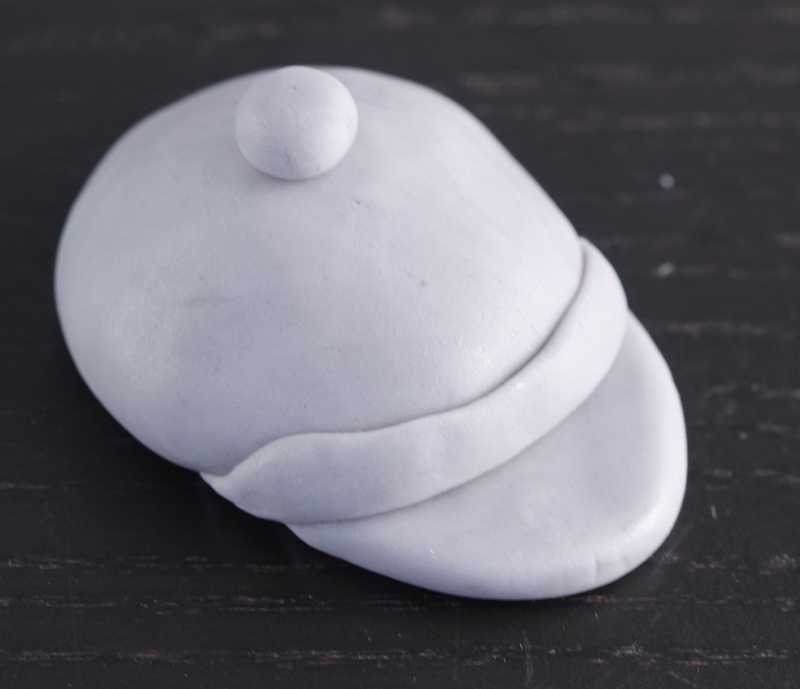 With the other fondant ball, shape the brim of the hat. With the paint brush and a small amount of water attach the brim to the base of the hat. Roll 4 small balls with the fondant. Take one ball and use it as the button for the top of the hat. Attach with the paintbrush and water. Take another ball to form a flat oval shape. Connect this between the brim of the hat and the base. Place buttercream in a bowl and add enough food coloring so the icing is almost black, about 3-4 drops. Using an edged piping tip, pipe the frosting onto the cooled cupcake, starting at the front of the cupcake and going towards the back. Do it in lines to resemble hair. Top with fondant cap. 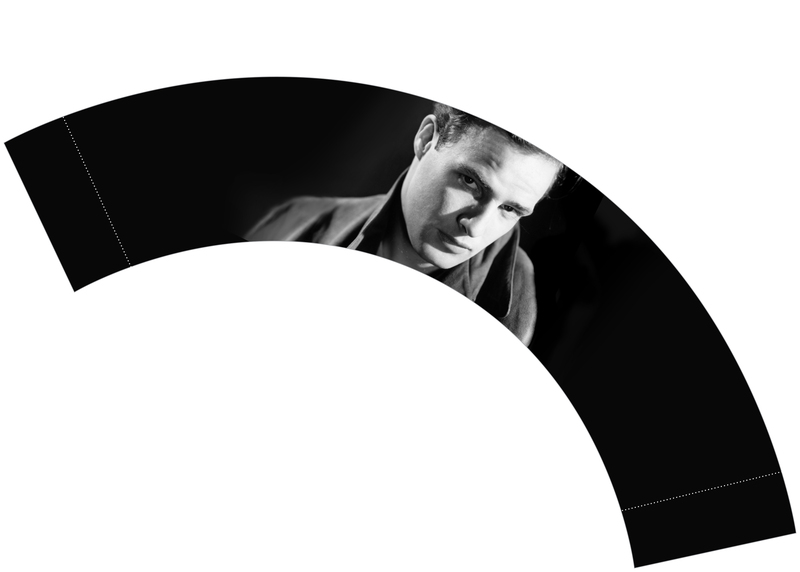 I’ve also created a Marlon Brando Cupcake Wrapper for you to print out and wrap around this bad boy cupcake. 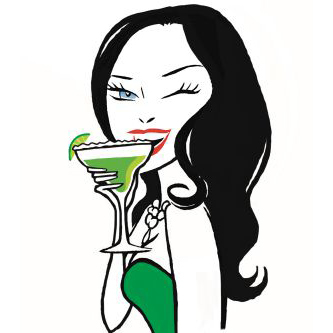 Simply click on the pdf below, print it out and cut along the thin white lines. Fold it around your cupcake, overlapping it along the dotted lines and secure it into place with sticky tape to create a cupcake with attitude.